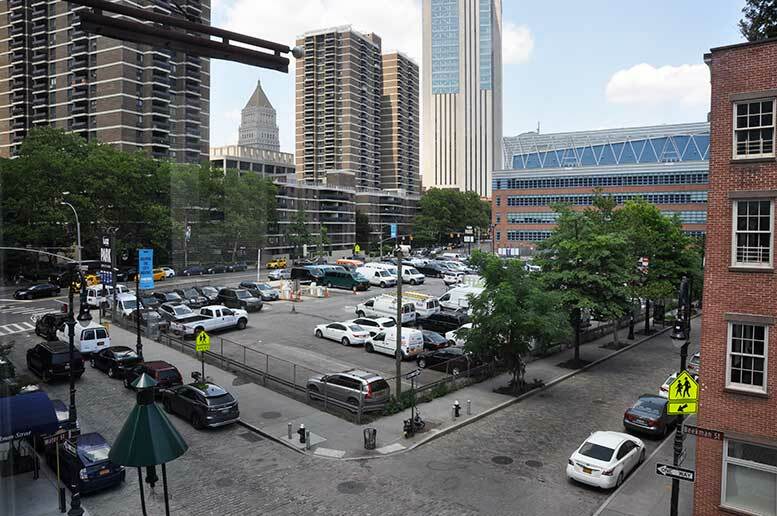 The parking lot at 250 Water Street, which has been found to contain significant buried contamination, including mercury, lead, petroleum, polychlorinated biphenyls, and chlorinated solvents. The Howard Hughes Corporation (HHC) will host a Community Meeting tonight (Monday, March 25) to discuss the planned remediation of the “brownfield” at 250 Water Street. All interested members of the public are welcome to attend the event at Pier 17’s Green Room (third floor, 89 South Street). The planned cleanup of the square-block parking lot in the South Street Seaport district has become a flashpoint of controversy in recent weeks, as the prospect of unearthing toxins from a site located directly across the street from two schools has alarmed local parents and community leaders. The parcel was purchased by Howard Hughes Corporation last summer as a location for potential development. 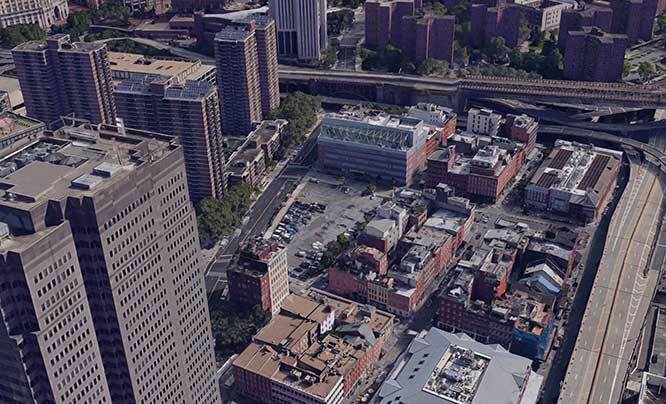 Last June, HHC, which already owns or leases large tracts of land in the South Street Seaport District, announced that it was buying an additional full block, consisting of the one-acre parking lot (bounded by Pearl, Beekman, and Water Streets, as well as Peck Slip) from Milstein Propertiesfor $180 million. The DEC’s brownfield program is designed to encourage private-sector cleanups of contaminated sites and to promote their redevelopment as a means to revitalize “economically blighted communities.” The program leaves cleanup to property owners and the contractors they hire, while providing technical oversight, and three kinds of incentives: funding to offset the cost of cleanup, tax credits, and liability relief, which absolves the land owner of future legal claims by State regulators related to any contaminants that were removed from the site during the cleanup. The DEC’s brownfield cleanup program has become controversial in recent years because its enabling legislation originally allowed property owners to claim a tax credit based on a percentage of the overall budget for the project enabled by the cleanup, rather than being compensated only for the cost of the cleanup itself. For this reason, a power-plant owner in Rensselaer was able to claim an $86 million tax credit in 2012, based on the price for building a new generating station. That same year, a shopping mall owner in Syracuse claimed a tax credit for $56 million, after cleaning up a site in that city, which paved the way for a $561 million expansion of an existing retail complex. In both cases, the cost of the brownfield cleanup was believed to be a tiny fraction of the amount claimed in tax credits. In response to a public outcry, the State legislature and the DEC moved to rein in such windfalls, and the program now limits participants to tax credits totaling no more than 24 percent of the overall project cost, with dollar amounts capped at the lesser of either $35 million or three times of the cost of the actual cleanup. At the February 13 session, Mr. Scherl was followed by Mimi Raygorodetsky, a senior associate at Langan Engineering, the environmental consultant hired by HHC to manage the brownfield cleanup at 250 Water Street. She noted that, “I’ve been doing essentially exactly this for 20 years: investigating and cleaning up former industrial sites and brownfields in and around New York City. 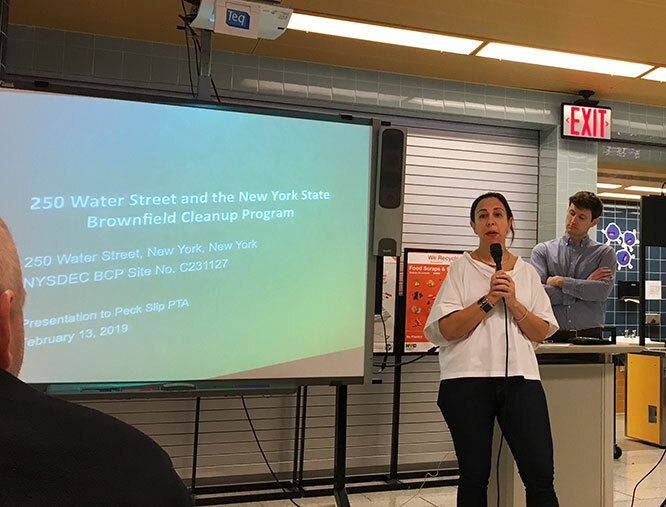 And I also have three young children and I live in Community Board 1, and my kids go to PS 150.” She then outlined the procedural steps in implementing a brownfield cleanup such as the one anticipated for 250 Water Street. 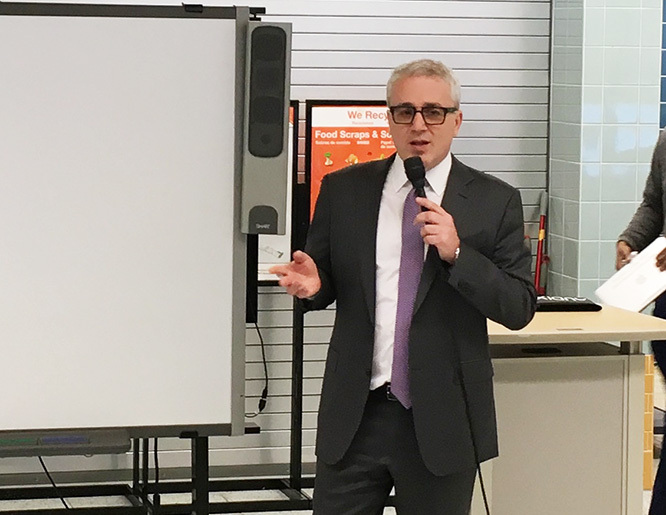 The meeting at the Peck Slip School was followed by a February 25 Town Hall meeting at Southbridge Towers, hosted by Save Our Seaport (SOS), a community preservation group. This meeting focused on several claims. Among these is that the lot at 250 Water Street was in the 1800s and early 1900s the location of three separate thermometer factories, and that all three of these sites were missed or ignored in Langan’s original survey of the block. In response, HHC (which was not invited to present at the February 25 meeting) circulated a memorandum to elected officials and community leaders, emphasizing the steps that the firm has undertaken to maximize transparency in the cleanup process, the safety that Langan’s management of the project will provide, and the rigorousness of oversight by State regulators, along with parallel accountability to City environmental officials. As the controversy surrounding 250 Water Street has grown, a new grassroots organization, Children First NYC, has been formed by area residents, to demand enhanced safety measures and maximum transparency. The group is also pushing for a halt to remediation work until there is an approved plan for development at the site, as well as further environmental testing by a third-party engineering firm.